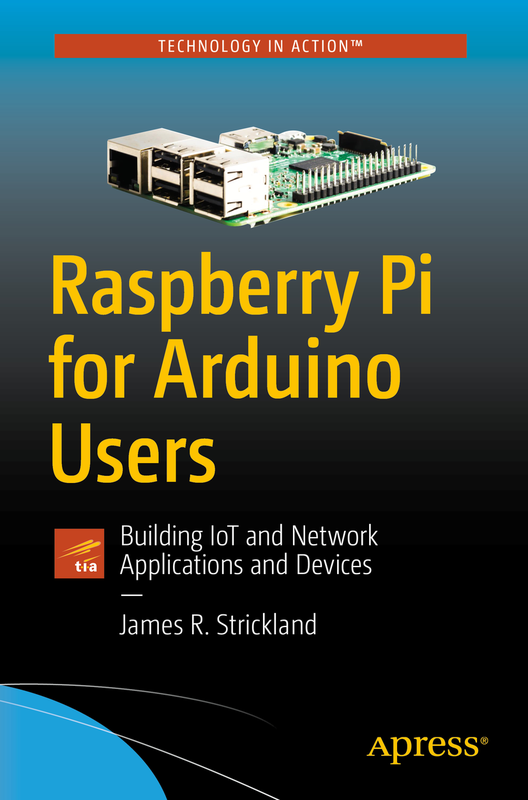 Raspberry Pi for Arduino Users will teach you how to leverage your Arduino skills in the Raspberry Pi world. You'll learn some survival Linux, so you know how to set the Pi up, establish minimal security, and shut it down safely. You'll learn how to use the Geany IDE in place of the Arduino IDE to write code in. You'll learn how Arduino sketches are really C++ programs, and how to write C++ programs for the Pi. No Python required! You'll learn to write multi-threaded and multi-process programs. You'll learn how to access the standard socket library and write network clients of your own. You'll learn how to set up the Apache web server and write CGI programs so other computers can talk to your Pi safely. You'll learn how to wire hardware to your Pi so it literally has an Arduino-compatible wired to its GPIO port, despite the voltage differences. You'll learn about filesystems and drives, and how to use them. The Raspberry Pi is a much more capable computer than the Arduino, but with that capability comes complexity. 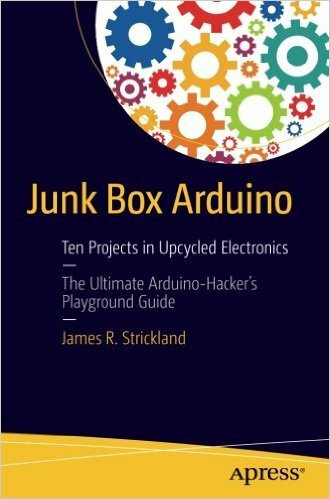 This book was written to get you over the learning curve and add Raspberry Pis to your toolbox. It's 1895. Business is good. Out in the wild part of the country; where the wave of post-war prosperity washes up on the dust of the Old West; a million dollars worth of silver has gone missing. It's a routine case for Marshal Dante Blackmore. 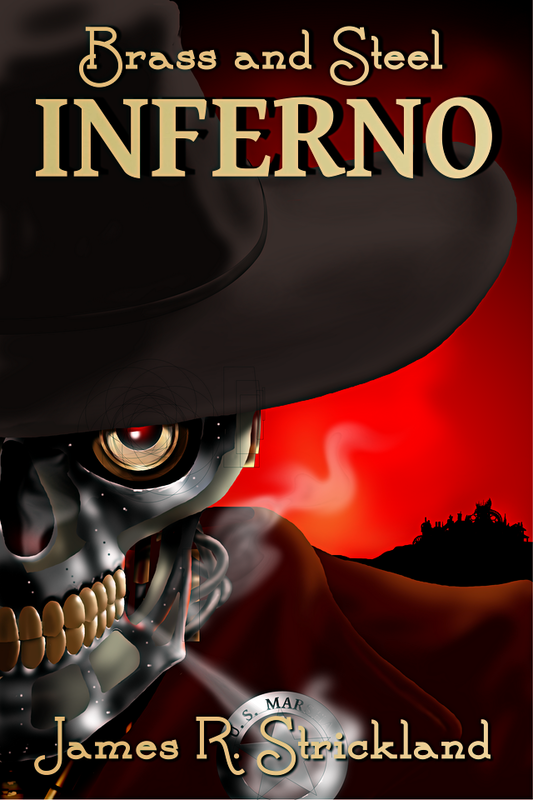 But there's nothing routine about Perdition, nor the mine, nor especially about Inferno, a mystical club that rises like a shining idol into the bloody sky. Blackmore will have to risk all the humanity he has left to unravel the case, find out the truth behind the Doppelgänger war, and his own dark secrets. Got junk? I have a closet full: electronics I've hauled around for years because they still work, but you can't get the software for them, they won't talk to modern equipment, or some trivial thing has gone wrong and they almost work. There they sit, taking up space. Not anymore! You can use that old junk for hours of entertainment, and learn computer technology more deeply along the way. No junk box? Wow. Don't worry though, you can still buy nearly all the parts used in this book from your usual electronics suppliers. You’ll build the Cestino (it means recycle bin), a powerful 20MHz ATmega1284P based Arduino compatible. Once it's built, you'll know how Arduino compatibles actually work, and how to make your own. You’ll learn eight bit ports and binary logic building the Larson (Memorial) Scanner. You'll learn how transistors really work (no plumbing analogies here – did you know they're quantum-mechanical devices?) and how to use them without frying them as you build and use the transistor analyzer. You'll learn about TTL (Transistor-Transistor Logic), and see what the ubiquitous 7400 series logic chips actually do with the TTL chip tester you’ll build. You'll learn about logic levels and that high does not always equal true because you can see them when you build a simple logic probe, which you'll use for testing and debugging the rest of the projects. You'll learn how to interface EPROM and EEPROM/FLASH memory as you explore the contents of that old video game or BIOS EPROM. You’ll learn how ATA drives communicate by exploring that old PATA drive you kept from ten years ago. You'll build a role playing game dice roller with a two digit, 7 segment display and learn to use Arduino interrupts for pin multiplexing. You'll learn how computers really work by connecting a Z80 microprocessor to memory and peripherals simulated by your Cestino. You’ll even learn a little assembly language. or $25/mo for Learning Library Unlimited Access. About a year ago my technical writing agent contacted me and asked me if I was interested in doing a series of instructional videos for a company called Infinite Skills, now a part of O'Reilly. I'd never done video before, but I figured, why not? If you're imagining me reading and giving demos on Linux at my usual, rather sedate reading pace, you're half right. Through the magic of post-production, these videos move fast. 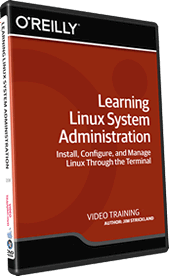 You get the fundamentals of Linux system administration. The terminal environment and how to use it when the GUI just won't work. File systems, what they are, how they work, how to use partitions and Logical Volume Management. An overview of the kernel and the services it provides. Accounts, how they work, and how to build them manually so you can fix them when they get messed up. How the boot cycle works and how to debug it when it goes wrong. How to read DMSG and logfiles. How to wield FSCK with skill. For those times when all else fails, some ideas on how to decide when to give up and reinstall. My goal in this series, as it is with all my technical writing, was to demystify, to take the magic out of how all this stuff works. Linux is complicated, and it evolves quickly, but the underlying themes are as ancient as Unix, and once you understand them and how they relate to modern Linux, you've got a base to build your understanding from. In the 1950s and 60s, it was common to find your SFF in double novels: two short novels back to back, each with their own cover. When you finished with one novel, you flipped the book over, and staring you in the face was the other novel, with its own cover. 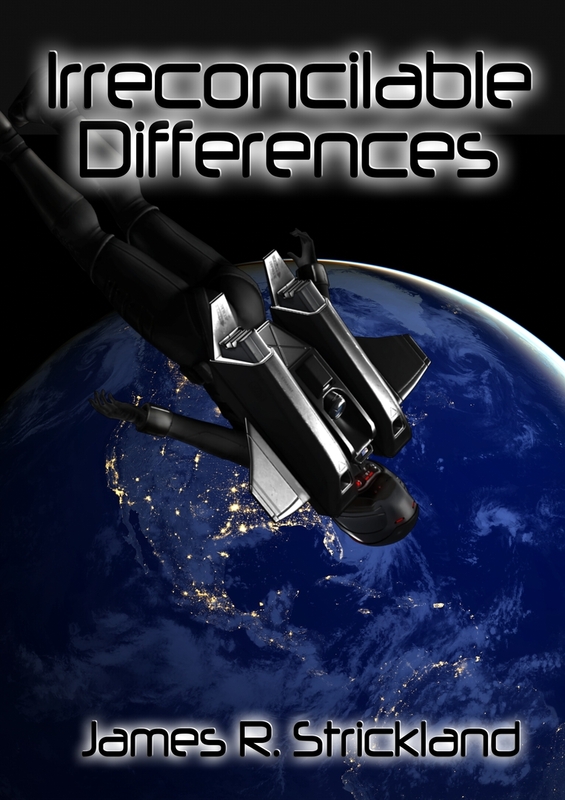 Copperwood Press is bringing back the double novel in paperback and Ebook formats. 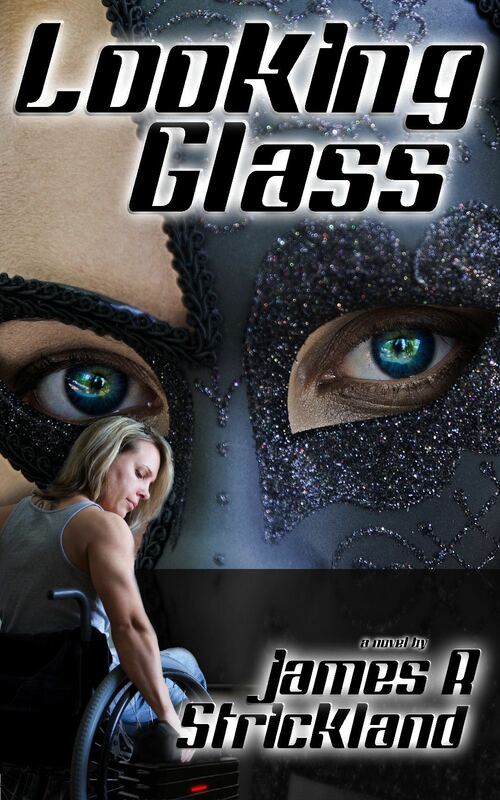 Copperwood Double #1, Drumlin Circus/On Gossamer Wings, is set in Jeff Duntemann's Drumlin world, and I'm proud to say that one of the stories, On Gossamer Wings, is mine. 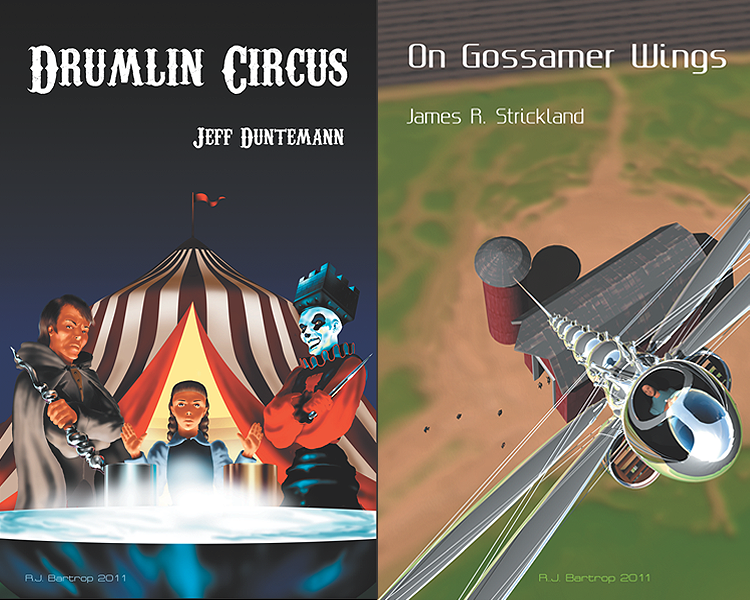 Drumlin Circus/On Gossamer Wings will also be available in Epub and Mobipocket/Kindle formats, and on ebook stores to be determined, still as one book, still retaining the feel of the double novel. The Drumlin World Toward the middle of the 22nd century, the starship Origen malfunctioned, stranding its 800 passengers on the other side of the galaxy, on a planet eerily like Pleistocine Earth. In addition to the prehistoric mammals, such as woolly mamoths, dire wolves, and smilodons, the colonists discovered something they didn't expect: tens of thousands of abandoned alien machines consisting of a bowl and two pillars that respond with drum-like sounds when the pillars are tapped. Tapping any pattern of 256 beats on the pillars in any combination caused something to rise out of the silver dust filling the bowl. Sometimes those things were useful, like axes, spoons, and pilsner glasses. Sometimes they were unidentifiable hunks of silvery metal. The artifacts, dubbed "drumlins", helped the unwilling colonists survive, even as the technology they brought with them was lost. Two and a half centuries later, the world of Valinor is slowly clawing its way back up the technological ladder. Steam locomotives have begun moving passengers and freight over iron rails, to and from the rural communities where the food is grown. The first hydrogen filled airships are being developed in secret. The uneasy truce between those who would re-develop human technology and those who would rely on drumlins has held. Humanity is prospering. An industrial revolution has begun. On Gossamer Wings From out in arid rye fields of the west, rumors have come to the Bitspace Institute that someone has drummed up the Big Ball of Iron. Institute agent Hiram König rides out to investigate, and discovers a strange, mute young woman has done the drumming, and the big ball of iron is just the beginning of the things that she is drumming up. Natalie Bishop is, despite everything, building a flying machine. A heavier than air aircraft. It's up to König to spirit her away from the farm, the small town, the people that are all she's known her entire life before everything explodes and her dream of flying is crushed underfoot. Drumlin Circus Even the castaways of Valinor need entertainment. So every spring, Bramble Ceglarek takes Pretty Alice's Wonderland Circus on the road, dazzling townfolk with clowns, acrobats, music, and trained animals–espeically trained animals. An Institute man by the name of Simon Kassel is sent to steal a drumlin called the function controller, from the animal trainer-and Ceglarek's wife Julia. He has been set up to fail. Partway through his mission, the Institute sends kidnappers who kidnap the trainer; Julia and her apprentice; Rosa. Furious, Kassel joins the circus, and becomes a very scary clown. He returns to Institute HQ to rescue Julia and Rosa only to discover that the function controller does a lot more than train animals. Played by an expert, human beings and even other drumlins will obey its tunes. And young Rosa is one very annoyed master. Rachel Santana is thirty-six years old. She’s an agent for Interpol Covert Services. Before that, she was an interrogator at the White Sands Reeducation Camp, following the breakup of the United States. Before that, she was a prisoner there. Before that, a Yankee, one of a group of corporate mercenaries trying to extract something like a victory in the Middle East. Before that, she was a United States Marine. She’s a survivor. A cop. A soldier. A destroyer. A killer. Now, Robert Neil, Rachel’s boss and soon-to-be ex-husband, has implanted a digital copy of Rachel’s mind in Michelle Marie (Micki) Blake, a 16 year old farmgirl-hacker in rural Kansas. The mission: Learn the local hacker ecology. Locate the dangerous new player prowling the rural networks. Destroy him. Take no prisoners. Leave no incriminating evidence. As covert missions go, it should be pretty simple. There’s nothing simple, though, about being conjoined at the cortex with someone else. There’s nothing simple about life on the farm, the life of a high school student, the life of a sixteen year old in post-United States Kansas. And the rural hacker ecology is unraveling with new forces in play, new powers, new players. It will take all of Rachel’s experience just to survive. All of Micki’s skills as a hacker to dig for the truth. All of their combined abilities to put the pieces together, to find the real threat despite the web of deception and half truth that surrounds both their operation and Copy-Rachel’s very existence. And somehow, they have to avoid being grounded. In the year 2025, Doctor Catherine Farro is forty years old. She is alone. She lives her life online. She works days in a virtual reality tank as the leader of a network management and security team for a large discount store chain. Her career is stalled. Her life is stalled. And she's running late. It's Friday, payday, and she and her team are anticipating the weekend. Fourteen minutes later, few of them are left alive, and Cath Farro dives onto a collision course with a malevolent hacker known as LookingGlass. Her quest for justice and revenge will cost her her job, and force her from her quiet, virtual life into a maelstrom of intrigue, death, emotion, and memory: the real world. Even if she survives, her life will never be the same. Some days it just doesn't pay to get up.